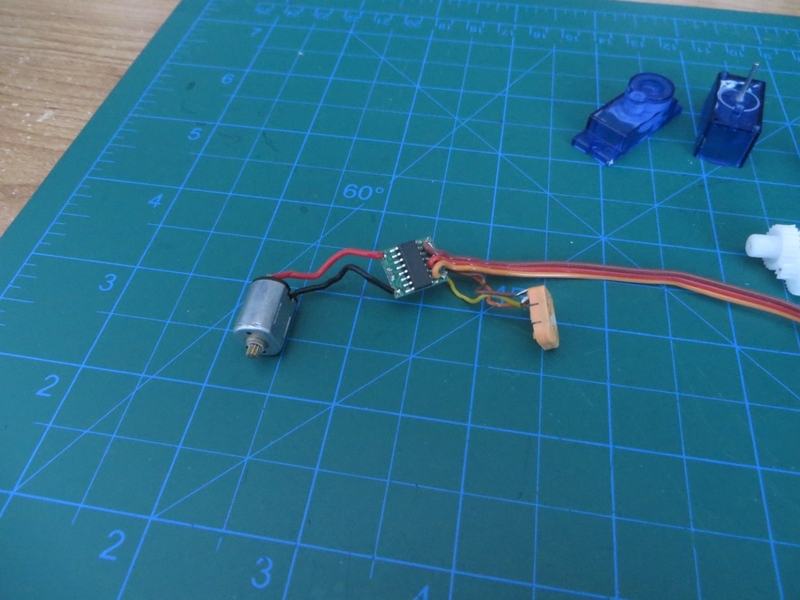 I fried one of my micro continuous servo motors yesterday so I decided to open it up and take a look inside. It’s as simple as taking off four screws on the back. The gears have some white grease on it. 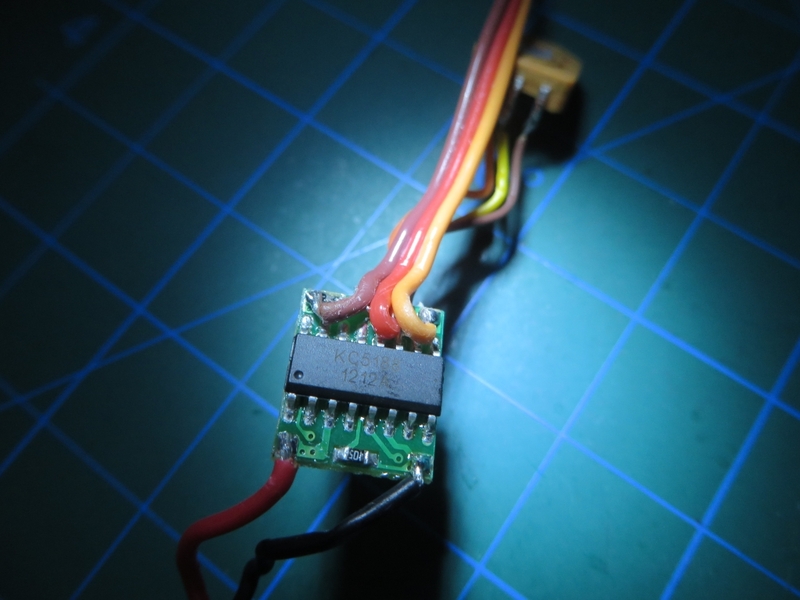 A little tugging got the tiny PCB out of the casing. I used the screwdriver to push the motor out after it. It looks so simple laid out like this, but you’ve got to admire how they can fit it all into such a tiny package! The backside has all of the resistors and capacitors for the circuit. The IC on there is a KC5188. 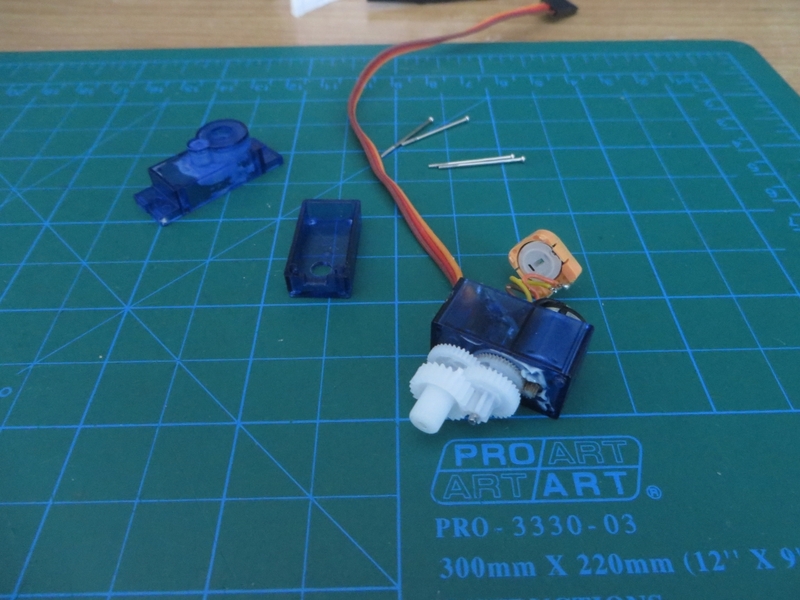 Not much analysis here, just a look around the insides of this servo motor. 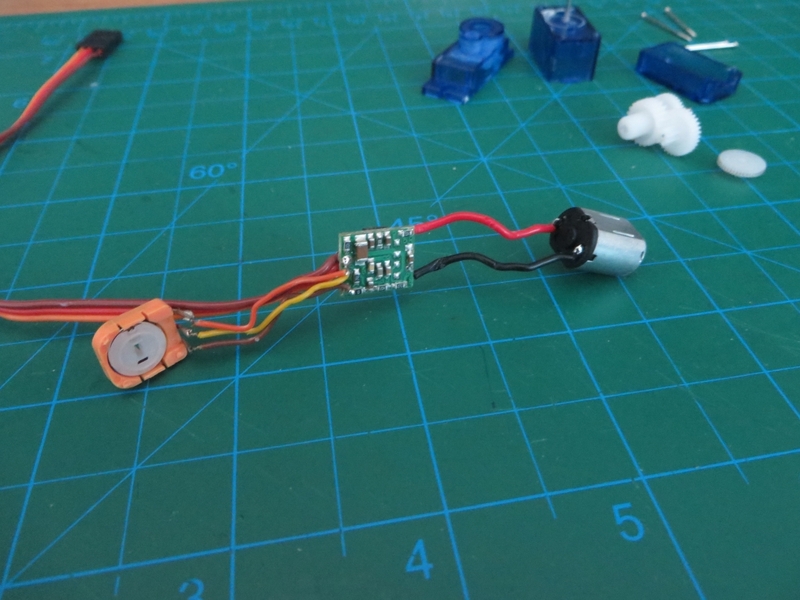 I’m still trying to decide what to do with this project since I only have one servo left… Stay tuned!